Being in student ministry its always great to have a awesome game for students to use during the night. Octoball is one of those activities. 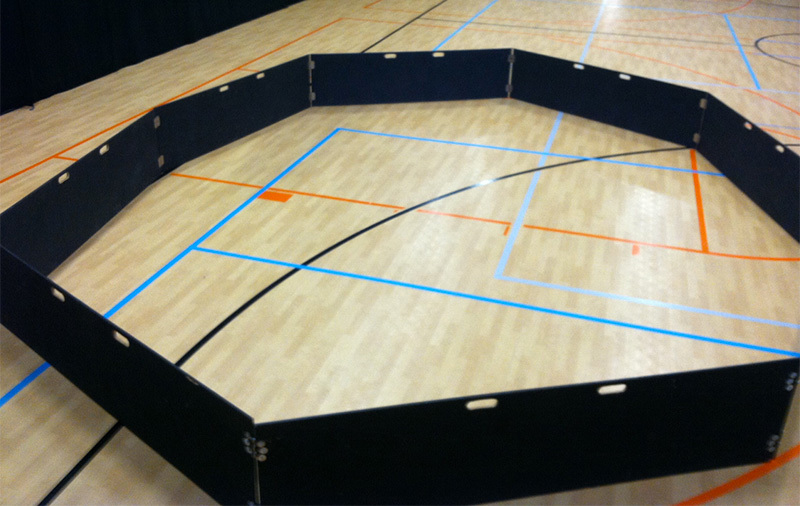 Almost like dodge ball inside an octagon; octoball is a blast! We use a kickball styled ball when we play octoball. To start a game play one player throws the ball in the air. Each player must be backed up to a wall. The ball must bounce three times, after the third bounce the ball is in play. If a player is hit by the ball below the knee, they are now out and must exit the playing area. No player may hit the ball twice unless the ball comes in contact with a wall or another player. 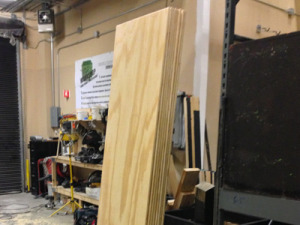 Cut (4) 4x8 sheets of plywood down the middle lengthwise, so you end up with (8) 2’x8’ pieces. Look for the hardware listed above in boxes/cases rather than individual or small amounts in order to save some money. 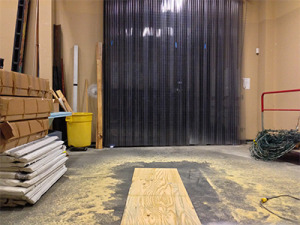 Measure 34” and 38” in from each end of the plywood and mark them. At those points, use your square to measure down 1.5” and 3”. Connect your marks to complete your rectangles and you have the outline for your handles. 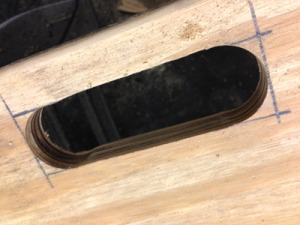 Use 1.5” hole saw bit and line up the outside of the blade on each end of your outline. This creates the ends of the oval-shaped comfortable handles. 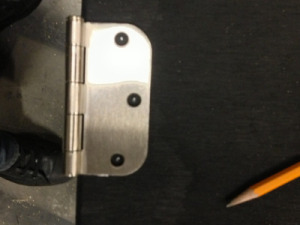 Use the jigsaw to connect the outside of the two holes to complete your basic handle shape. 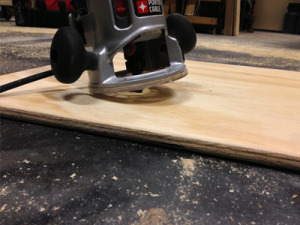 Use the router to go around all outside edges, and inside the handles, to smooth everything out and eliminate the need for sanding. I found this is easiest if you can lay out all 8 pieces and roll the paint right on the ground, paint the whole first side, and let it dry (Check your paint to verify ample dry time). Paint opposite side, let dry, then stack them all up together and roll along the edges at once. This is much faster than painting each edge by itself. The only thing left is the inside of the handles, which can only be reached with a brush, if you care that it’s not covered. This is the trickiest and most crucial part and decides how nicely your pairs of panels will close when you need to pack it up. Most importantly, you need all four handles to line up. 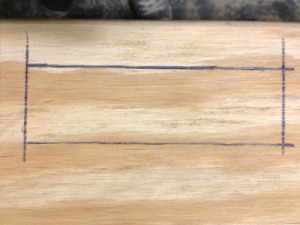 Start by laying your first out on one panel, about 3” from the top of the panel. 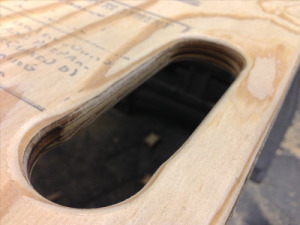 Fold the hinge back 90 degrees so that it is flush with the edge of your plywood. 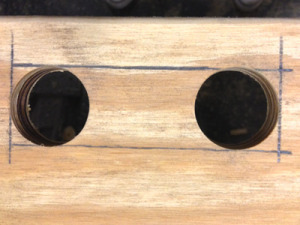 This will insure that your drill holes are perfectly aligned with the edge. Once you get it set, use a small clamp to hold it in place. If you don’t have clamps, this process it’s much harder and you’re likely to end up with crooked hinges. You may have to move the clamp to get all holes drilled. Once clamped, drill your first hole. I recommend dropping a bolt in the holes as you drill them out, just to make sure you can’t bump the clamp and end up with holes that do not line up. When you’re sure the holes are all in the right spot, drip a little thread lock on each bolt, slide on your fender washer and hex nut, and tighten down each nut with your socket driver. Add the cap nuts to each bolt and tighten them up against the hex nut. With the thread lock and nut lock system, it will be impossible for bolts to come loose. Repeat this process for bottom hinge. You can build a little stand to hold your two panels straight, or find something to prop them up while you attach both panels to the hinges. 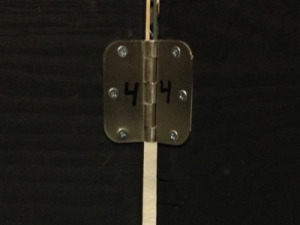 It’s not as necessary to clamp the hinges once they are already aligned on the first panel. Also, depending on your clamps, it may be impossible to reach them at this point. Insert the bolts as you drill the holes to keep them all lined up. Every other set of hinges will need the hinge pin popped out with a nail and hammer so you can easily disconnect the panels and fold them up whenever you need to store it. 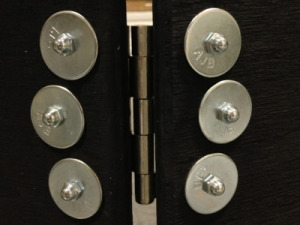 Take note of the orientation of each hinge. One side will have 2 sleeves and the other will have 3. It’s best to keep them all uniform so that you can connect the panels in any order. Though it is still a good idea to number both sides of each bottom hinge (1-4) just in case there is some slight variation in the hinge spacing. This way you’ll know how each panel went together in the first place, and it will be quick to set up rather than trying to figure out which piece goes where each time. Step Nine: Play Some Octoball! Any chance you could post or send me a picture of the exact bolts you used? I cannot find that size/description anywhere. Thanks! if you need to tear down your pit weekly, use I Hooks and rods for the hinges. It takes no time to put up and tear down! What do “I Hooks and Rods” look like?